Time for the second part of my take on the Disney Animated Canon. But first I’d like to take a little detour and discuss my ten favorite Disney heroes. Just the fellows today, tomorrow I will have my list of heroines. So I’m going to list the characters, the movie they are from and a quick little bit about why I like them. 10: Milo Atlantis The Lost Empire He is a different sort of hero, a man who gets by with his brains rather than brawn. Plus, Michael J Fox voices him perfectly. 9: Prince Philip Sleeping Beauty I’ll be honest, he’s mostly on here for that fight with Dragon Maleficent. That scene is great. 8: Basil The Great Mouse Detective Yes, he’s just Sherlock Holmes as a mouse, but Sherlock Holmes is awesome. 7: Wart The Sword in the Stone He is mostly just learning at the feet of Merlin, but there is something completely endearing about his unending eagerness. 6: Tarzan Tarzan He wrestles a leopard. Do I need to say more? 5: Robin Hood Robin Hood He is possibly the best take on this character to ever appear in a film, apologies to Errol Flynn and Cary Elwes. 4: Ralph Wreck it Ralph His search for recognition and how to be a hero is one of the best arcs in a Disney film. 3: Hercules Hercules He is the greatest hero ever created. Disney’s version is pretty great. 2: Simba The Lion King Cat Hamlet’s journey from a somewhat selfish kid to a worthy king is a good one. 1: Aladdin Aladdin He’s really just the best. He’s as dashing as Robin Hood, but with a better character arc. He’s charming and easy to root for, but also flawed. Just a great character. This list skews heavily to established heroes that have a Disney version. I guess Disney does better with villains than it does with heroes. Actually, many of their character’s share the protagonist role and kind of get lost in the ensemble. Some, like Beast, are good characters to watch but not really good people. He’s not the protagonist and he’s definitely not a hero. 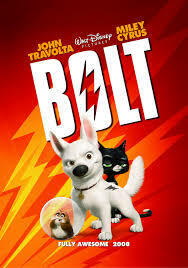 36: Bolt. 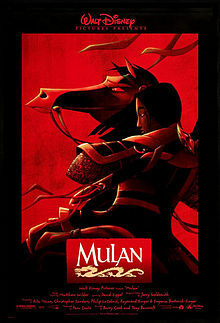 This is the first 3D Disney movie that is actually worth watching. I know that Pixar’s John Lasseter did some reworking of this title when he took over the animation department at Disney, and you can feel it. There are times when it does feel like a Pixar movie, though it is not quite on the level of most of their output overall. My big problem with it is that it goes to great length to explain a premise that doesn’t really need that explanation. A famous dog wants to get back to his owner. It should be that simple, but its not. Once it gets going it gets better. 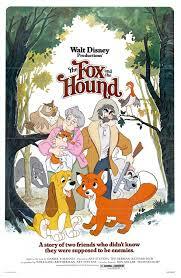 35: The Fox and the Hound. This one is a childhood favorite that I don’t think quite holds up. The friendship between Tod and Copper is charming and the forces that eventually pull them apart is heartbreaking, but it often feels like it is trying too hard for sentimentality. The bear at the end is the best part of the film. That scene is tense and exciting. It almost makes the movie on its own. 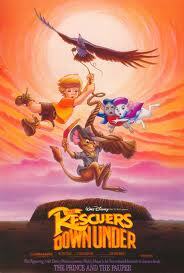 34: The Rescuers Down Under. My dislike of the Rescuers is probably not deserved, (I don’t know why, but I really dislike that movie) but I do enjoy its sequel. Instead of going to the bayou in Louisiana, Bernard and Bianca head to the outback of Australia to again search for a kidnapped child. There are some great scenes where Cody, the kidnapped boy, flies on the back of a giant Golden Eagle. It features one of Disney’s most underrated villains, George C. Scott as a poacher. He is surprisingly cruel and simply blackhearted. He is great. 33: Fantasia 2000. 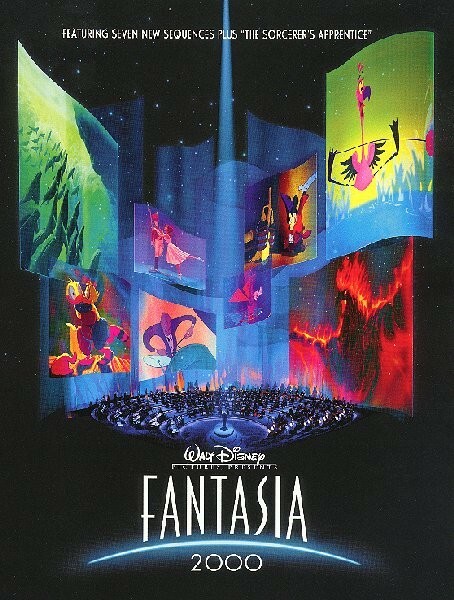 The first version of Fantasia has at least pretensions of being art (whether or not those pretensions are realized is questionable) while Fantasia 2000 does not. It is a animated movie for kids. I think this suffers from that lack of ambition. It feels flat, especially compared to the original. It also features largely less interesting animation. The whale sequence could have been great, but that CG looked bad, at least it did fifteen years later. I did like Donald’s chance to shine in the Noah sequence, though the arrangement there is not as good as it should be. The last sequence is the only truly great one in the movie, other than the holdover from Fantasia. 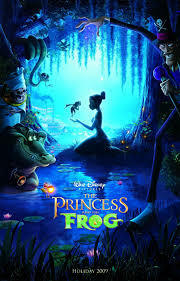 32: The Princess and the Frog. I so wanted to love this movie. It was Disney’s return to traditional animation after a too long absence. Other people loved it. I merely liked it. Tiana is a good character, but the movie seems to be forcing the Princess thing on her no matter what really makes sense for her character. Or maybe I’m remembering it wrong. It just seems to be missing that spark that makes a good movie a great movie. 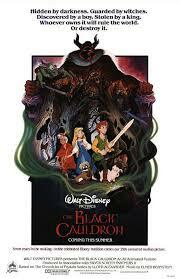 31: The Black Cauldron. 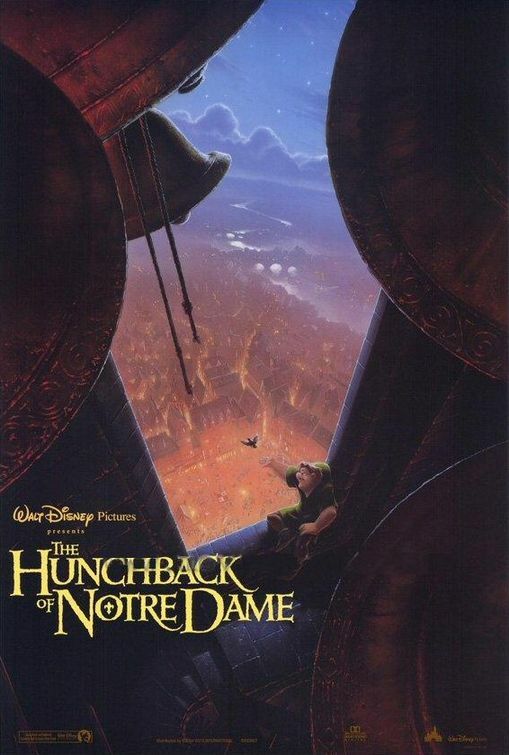 This is easily the most overlooked Disney movie. Disney does their best to make everyone forget about it, due to both its complete commercial failure and that fact that it is much darker than anything else they have produced. I saw it for the first time recently and was pleasantly surprised. Eilowny is one of the most underrated Disney characters, and Taran is one of their most active heroes. I was surprised at how much the villain is a dark version of Skeletor and how much death and violence there is here. Also, there is a lot of Gurgi in Andy Serkis’s Gollum. This is a fun, action fantasy that really doesn’t fit in well with the rest of Disney’s output. All its really short to be a true classic is a consistent tone Since scrubbing the rest of the darkness from the film would be impossible to scrub it out, they would have to just embrace the darkness and I can understand why Disney was unwilling to do so. Still, there is much to like here. 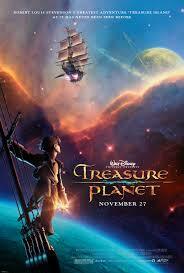 29: Treasure Planet. This film has some of the best melding of 2D and 3D animation I’ve ever seen. There are moments when they don’t quite gel, but more often it works just as intended. It is a very odd movie, Treasure Island set in space, but they are still using regular sailing ships. There are a bunch of strange aliens aboard the ship. Still, it is a fine adventure. 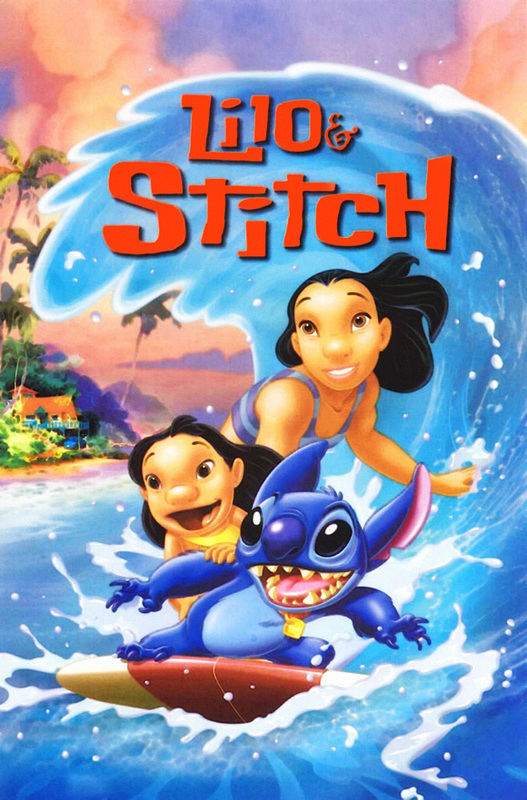 27: Lilo and Stitch. This movie is simply charming. It is great aesthetically, both with Hawaii and with its use of Elvis music. It makes for a very memorable film. Plus, Lilo manages to actually seem like a young girl, not an annoying infant or an adult in a child’s body. I guess if you didn’t notice a few entries into this post I hit the movies that I actually like. It is kind of amazing for as long as the Disney Company has been making animated movies that they really have mostly put out good movies. Even their failures tend to be pretty good. Also, whenever I write Disney above, I mean the Disney Company and not Walt Disney himself. I don’t think people are going to be confused, by I want to make sure it is clear.